Dorothee VandeWalle is a master Pilates teacher and is recognized as one of the leading teacher-trainers and master Pilates practitioners in the world. Dorothee has been teaching Pilates for over 20 years and has trained individuals at all levels of fitness from elite athletes to injured and/or older clients. She started teaching in New York City with Romana Kryzanowska and was a teacher-trainer for Romana's Pilates for over a decade before starting her own training program. Dorothee teaches in the tradition of the original, authentic Pilates method. She enjoys teaching instructors and practitioners from all different backgrounds and believes that anyone can benefit from authentic Pilates training. Originally from Belgium, Dorothee started dancing at the age of seven and was trained on scholarship at the Institute für Buhnentanz. She danced professionally for over ten years in Europe and the United States. She's been teaching in Seattle since 1993 and has had her own studio since 1999. April Tillman is a M.A.T. Pilates level 1 teacher trainer. She is certified on the Basic System and trains apprentices for full certification at Urban Pilates in Portland, Oregon. April has been a teacher trainer with M.A.T. Pilates since 2010. April grew up with the understanding that a healthy lifestyle begins with physical movement. In 1997, she became a certified instructor through Romana Kryzanowska, protégé of Joseph Pilates, and began her career working for Mari Winsor at Winsor Pilates. Since then, she has taught Pilates at a variety of studios, ranging from Santa Monica, Bel Air, Beverly Hills, and Sun Valley. In 2009, April moved back to Oregon and opened her own studio, Urban Pilates. Martt Lawrence is a M.A.T. Pilates level 2 teacher trainer. She is certified on the Basic and Intermediate Systems and has been preparing apprentices for full certification since 2008. Martt has been teaching Pilates for almost two decades and has worked with dancers, athletes, and students of varying injuries. Martt opened her studio, The Pilates Center of San Francisco, in January 2006. 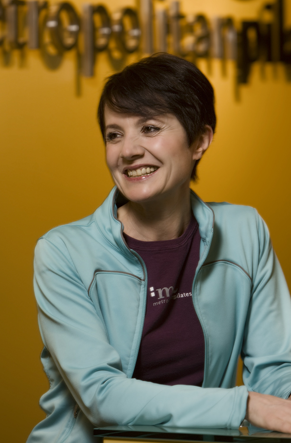 Originally certified in 1996, Martt was re-certified in December of 2005 by Dorothee VandeWalle at Metropolitan Pilates. Prior to opening the Pilates Center of San Francisco, Martt was the Pilates instructor at The San Francisco Ballet for five years. She draws from her experience as a former professional dancer with the Houston and Cincinnati Ballet companies as well as a modern dancer and choreographer. Dorothee is very well-known throughout the world by classical Pilates teachers. She teaches internationally and manages one of the very top teacher-training studios in the world, Metropolitan Pilates. She is brilliant (without ego), insightful, inspiring, generous, elegant, fair, engaging, creative and so much more!"